Not to be confused with the Masterpiece that is the original, or the atrocity that is '06, this game is a port of the Master System version,(the SEGA 8-Bit console), with some minor cosmetic changes from the Master System version. Unlike every other Sonic game, when you lose your rings, they are gone for good, no recovering any spilled rings. Live boxes are a little more common, but it is still a one or two hit KO game. The boss fights are ringless, so it is a one hit KO match, and even though they are super easy, one minor mistake, and it is game over. The levels are all copied from the Genesis version, but switching out Marble Zone and Star Light Zone for two new zones. You have to search the zones for the hidden Chaos Emeralds to unlock the true ending, and the game is aggravating at times. If you aren't a Sonic enthusiast like me, I would say pass, especially for 5 dollars. SEGA's answer to Tetris, a fun block falling game that has you line up 3 gems of the same color to clear them from the board. They come in a rectangular shape, and you can't change the direction, but you can change the order of the gems, three per rectangle. The game is very fun, has a very high replayability factor and for $4 dollars, this is a steal. And yes, unlike Tetris VC, this has local mulitplayer. Before I touch on the gameplay, I have to say something about the game. The character's artwork and models are all inspired by the TV show, The Adventures of Sonic the Hedgehog, so most of the characters will never be seen again in another Sonic game. Anyway, this is a puzzler like Columns and Tetris where you have to match up four beans all of the same color to clear them. The beans come down in groups of two, and they can be rearranged in order. This is a surprisingly hard puzzler, because when you are doing well, just about to win, somehow the CPU makes an amazing recovery. Recommended for Sonic fans, and puzzler fans. $3 dollars for this gem is great, and features local multiplayer. FIRE EMBLEM FANS! May I have your attention? I saved the best Game Gear VC game for last, a entry in the Shining Force series, SEGA's excellent answer to Fire Emblem. You must reclaim the Sword of Hajya from Ion's forces and prevent him from conquering the world. You have similar actions to the Fire Emblem games, with the most distinct differences being the battles are you attack, enemy doesn't, enemy attacks, you don't. Not only that, but there is an optional perma-death system. At the camp, you can revive your fallen troops, but you don't have to either, making the game harder. You have magic users who can attack from 1-2 spaces away, melee users who pack a punch, and an interface that makes perfect sense after a little use. I'll admit, I haven't played this one much yet, but in the first few battles, I realized this was a gem. The music is great, the battle graphics, for an 8-Bit, Handheld console, incredible. I almost compare them to the GBA Classic, Fire Emblem The Sacred Stones, that’s how good they are. This game for $4 is the greatest deal out of all of the Game Gear games currently available on the VC, and shouldn't be missed by any Fire Emblem fans. Unlike most games in the series, Sonic can't run, and walks slower than a snail. He has been slowed down by Robotnik with special boots, and the only way to get his speed back is to go through the Doc's Labyrinth, and collect the Chaos Emeralds. Luckily, you still have the spin dash, so you can dash around the maze, finding keys needed to unlock doors needed to progress. It is relatively short, and isn't a lot of fun. Only recommend to serious Sonic fans, like myself for its $5 dollar asking tag. Being the only Game Gear game to have Knuckles playable, it should be an instant recommendation. Sonic and Knuckles are both playable, both with different paths available to travel, or you can use the same one for both. The art style is like Donkey Kong Country, and it is the only 8-Bit Sonic game to offer the double jump without an item to help Sonic jump. Knuckles has his Climbing and Gliding abilities, and Tails is completely absent. I haven't played this one, so I have a hard time describing it, so if you are in the Pal region and can buy it, consider it, but I can't recommend it. I believe it is good, but I'm not sure. For $5, you could do worse, like Labyrinth, so know what you are getting into. That wraps up my little guide to the Game Gear. I'll update it as more games become available. Can some mod on a computer help me? After adding in Sonic Labyrinth, Blast, Tails Adventure, and Defenders of Oasis, the coding was added automatically. I posted from my 3DS, the entire article was posted from my 3DS, but this didn't happen until I added the games. I would do it myself, but when I edit, it deletes parts of the text. I know this because I tried to edit it back. If someone could just copy the article, hit edit, delete everything in the text box, paste, then deleted the obvious coding I didn't add, and save, I would greatly appreciate it. 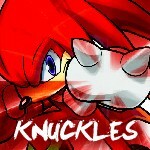 @Knuckles - Gotcha covered. I may have accidentally changed the font a little, but that's Microsoft Word's fault. I also was able to fix some grammar and spelling errors, so it should be right as Reyn. @True Thank you, when you type long articles on the 3DS, it is a pain to spell check, and edit. @Knuckles - No problem. It's amazing how few errors there were, considering you wrote it from your 3DS. Well done. Finally read this, nice article! Sorta like a mini-review marathon in there. @True Hero Thank you, you should have seen the 3DS first draft. @Professor Clayton Thank you. I tried to do it like Nintendo Power #273 (Kid Icarus Uprising issue) with the DSiWare guide. I disagree with you about Sonic 1 for GG, but it was a great article Knuckles! @Capn' Pancakes From what I understand, everyone but me likes that game. I don't know why, but if I had to choose, it would be things like stupid enemy attacks, or should I say, non attacks, super easy/insanely hard boss fights, sprite design, and really annoying slowdown. Of course I understand most of the problems I have the game are trivial, but I can't change my opinion. I've tried, but I can't. @True Oh You, you oughtta know it's always reyn time. @Happy Since you have given it a try, I won't attempt to suave you, but I was in for a huge suprise when I realized how good that game was for $4 dollars. I'm going to update my thoughts of Sonic Labyrinth, and Sonic Blast, both have changed.